On the 11th of May Roberto Adinolfi, CEO of an Italian state controlled nuclear engineering company, was shot and wounded. A cell of the insurrectionist Informal Anarchist Federation have claimed responsibility for the attack in a statement, saying that it was an act of vengeance for deaths and environmental damage caused by the nuclear industry. Previous acts claimed by Informal Anarchist Federation cells include sending a letter bomb to the Italian tax collection office, almost blinding a worker at the office1 and risking the lives of the postal and clerical workers who unwittingly carried the bomb. Although it adopts the same initials as our affiliated Anarchist Federation in Italy, the Informal Anarchist Federation has no affiliation whatsoever with them or with us. It is an entirely separate entity, and we consider its adopting of the same initials as a pre-existing anarchist group to be, at best, confusing and ill-judged, and at worst malicious. 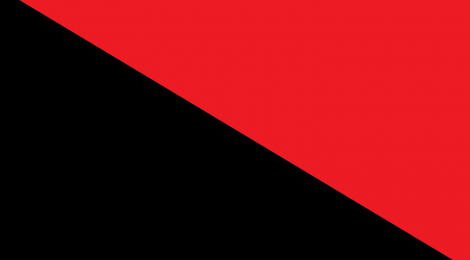 Whether or not the Informal Anarchist Federation intended that their actions would be associated with the Italian Anarchist Federation and other members of the International of Anarchist Federations, these organisations have now been mentioned in press reports relating to the actions of the Informals, and so we now feel it necessary that we, the UK Anarchist Federation, make our position on their actions clear. In our aims and principles, the Anarchist Federation states that “It is not possible to abolish Capitalism without a revolution, which will arise out of class conflict. The ruling class must be completely overthrown to achieve anarchist communism. Because the ruling class will not relinquish power without their use of armed force, this revolution will be a time of violence as well as liberation”. We are not a pacifist organisation and do not condemn insurrection itself or all insurrectionist tactics; however, as Anarchist Communists we strongly criticise individualist and vanguardist tactics that do not come out of a broad-based class struggle movement. We condemn actions that put workers in danger without their knowledge and consent, and we reject elitist statements, such as that made by the Informals, which consider the working class to be too ignorant and invested in Capitalism to be relevant to struggle. Capitalism is, fundamentally, a social relationship; it can no more be harmed by small groups who are disconnected from the wider class struggle shooting individual bosses or sending bombs through the post than it can by passively marching from one place to another or consuming “ethical” commodities. Instead, the Anarchist Federation advocates organising with other working class people to take direct action for ourselves in order to both defend ourselves against attacks by capital and the state in our everyday lives and build a culture of resistance that can seriously challenge capitalism. As well as being tactically more effective than isolated acts of violence, organising in this way allows us a glimpse of a better world, free of exploitation, alienation and oppression. By acting collectively and making ourselves accountable to others, we prepare ourselves for a world where our whole lives are really under our own control. 1 Correction: This statement makes reference to a worker at the tax office being injured, Although in other attacks workers have been injured, in this case the person who was injured was a leading official and the intended target of the attack. While the AF does not endorse the use of letter bombs in any way due to their indiscriminate nature, the original wording was misleading.